Aug, 2018 - A letter from a client was posted HERE, along with two photos which you can see HERE. April, 2018 - A letter from a client was posted HERE, along with two photos which you can see HERE. February, 2018 - A letter from a client was posted HERE, along with a photo which you can see HERE. October, 2017 - A letter from a client was posted HERE. 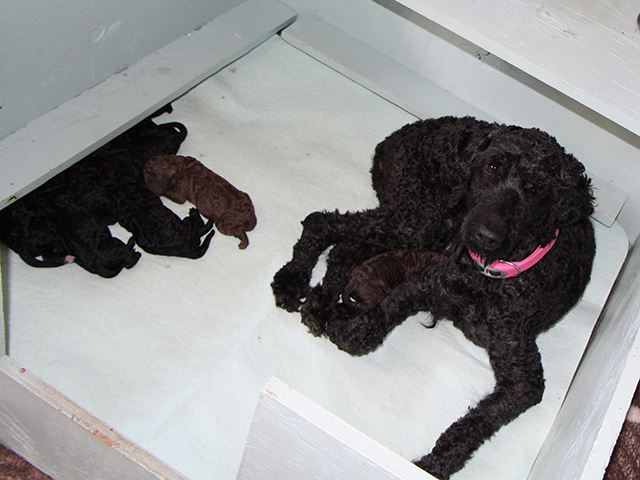 August, 2017 - Febe had 8 lovely Barbet puppies on the 9th of August. Click the thumbnails below to see the larger versions. August 1, 2017 - Febe has been bred and we are expecting puppies in early August. 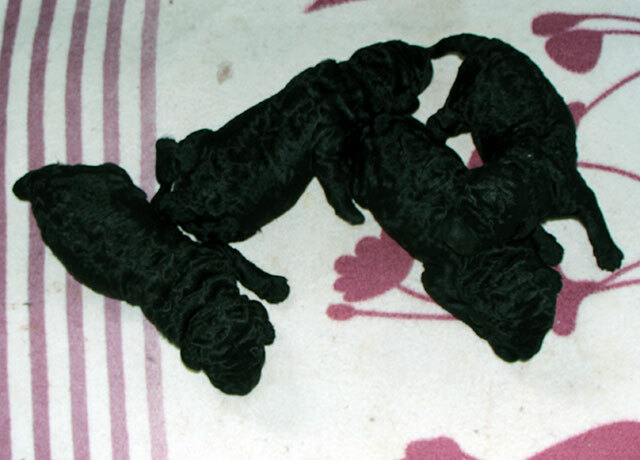 Anyone interested in learning more about this litter should contact us. 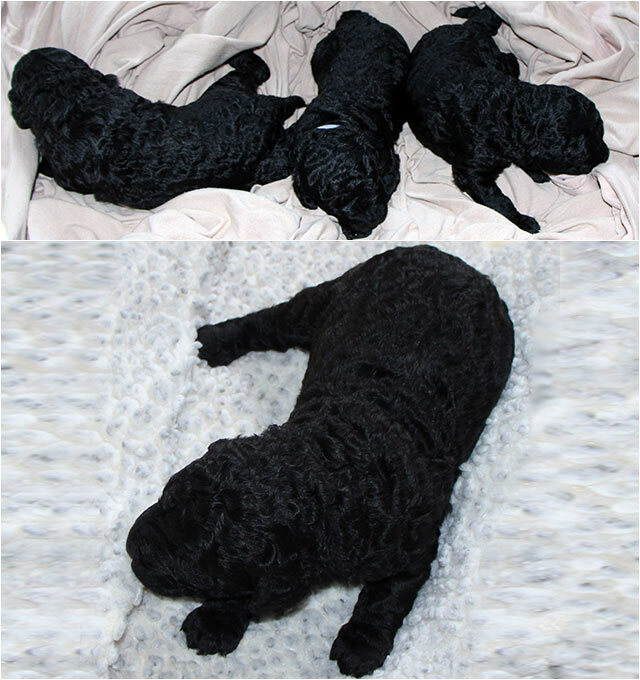 May 14, 2017 - Upcoming litter planned: We will be breeding Febe and Hunter late May of this year and are looking forward to lovely, healthy Barbet puppies. Those interested in more information should contact us. September 19, 2016 - Two letters from clients were posted HERE. Also, a short video of Sprouts at 2 1/2 months, loving the open water can be seen HERE. August 24, 2016 - A letter from a client was posted HERE. Also, a photo was added to the gallery HERE, bottom row. June 22, 2016 - Febe's litter of beautiful pups - 3 females and 1 male - at two weeks. There are just a couple of these wonderful puppies who have yet to choose their forever homes, so contact me for more information. June 14, 2016 - The Puppy Stork has arrived. 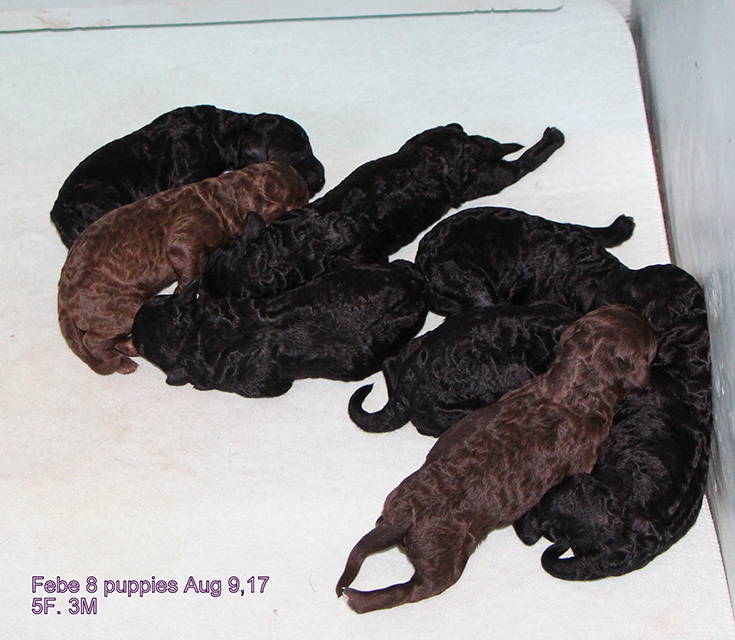 Febe's litter of 4 beautiful pups - 1 male and 3 females - are all happy & healthy. April 26, 2016 - Febe, Hunter and Baretta all passed the Genetic Dilution Test with perfect D/D scores. Click the thumbnails to see the test results. Febe's Genetic Dilution test results. D/D means clear for dilution. Hunter's Genetic Dilution test results. D/D means clear for dilution. Baretta's Genetic Dilution test results. D/D means clear for dilution. April 1, 2016 - Stork alert! 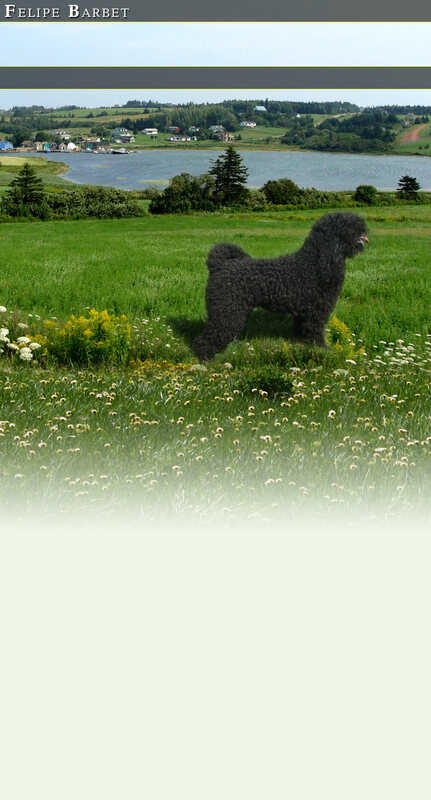 We have just bred Hunter and Febe, and are expecting beautiful Barbet puppies about the end of May 2016. 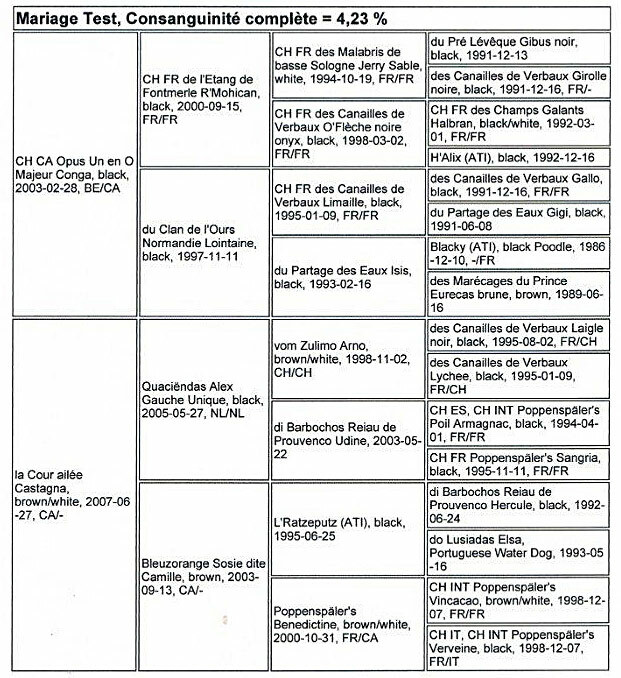 Click the thumbnails below to see the pedigrees. CONTACT US for more information. Also, a photo was added to the gallery. Click HERE to see it - bottom row. December 14, 2015 - All of Febe's puppies have wonderful forever homes, and we will miss these little ones as they start 2016 with their new families. January 15, 2015 - Three pictures have been added to the gallery HERE, along with a letter from Bronte's owner HERE. A quick note from Cooper's owner was posted HERE. Also, a letter from Jocker's owner was posted HERE. 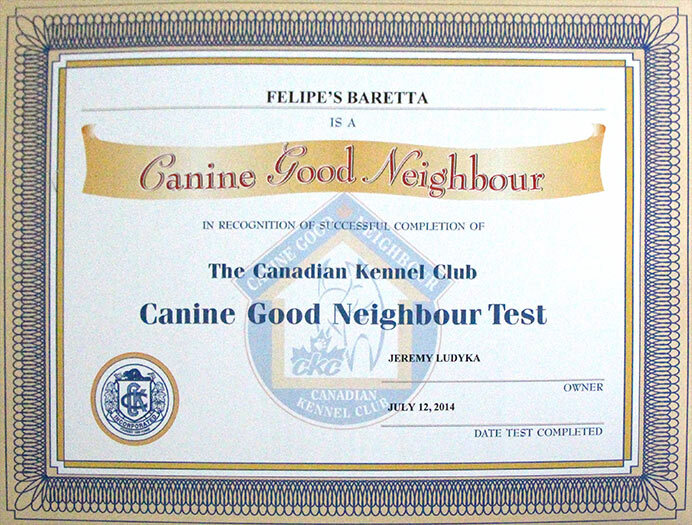 September 12, 2014 - Baretta has received her CKC Canine Good Neighbour certification. 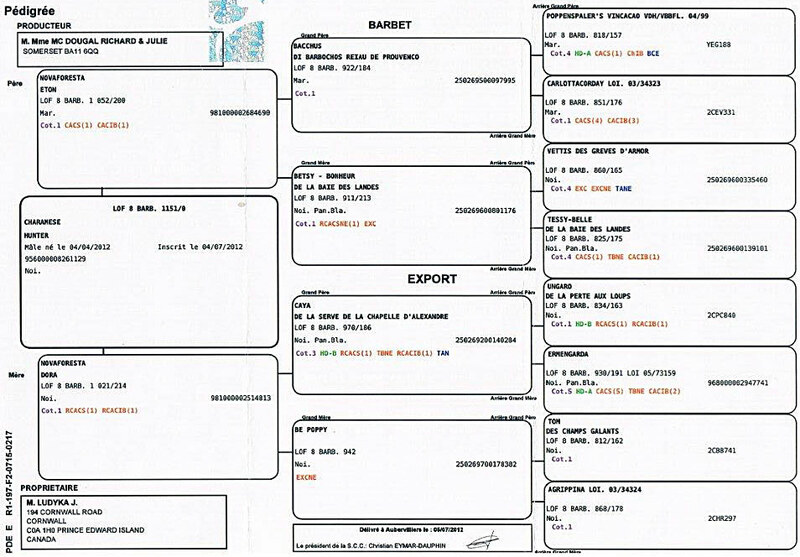 It has also been added to the Certifications gallery. Click HERE to see it. In addition, two photos have been added to the Gallery. Also, a letter from Jocker's owner was posted HERE.